Need some time by the ocean to relax after a busy summer? Want to unplug for a couple of days and enjoy some time with your gal-pals? Does walking on the beach, enjoying a massage, and connecting with your friends or making some new friends sound fun? If you answered “yes” to any of these, then don’t miss this incredible opportunity to join us in Galveston for a weekend retreat at the San Luis Resort & Spa as we learn about the importance of girlfriends and celebrate sisterhood October 23-25, 2015! 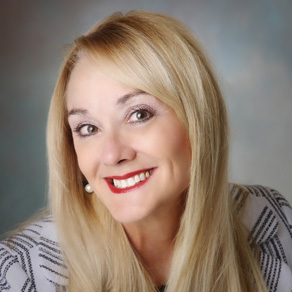 “The Healing Power of Girlfriends” seminar will be presented by Deborah Olson, who specializes in women’s emotional health and is a licensed professional counselor, author, and public speaker. We have always known that girlfriends feed our soul, but now we know the benefits of spending time with our gal-pals goes much deeper than that! In fact, research has now shown our mental, physical, and emotional health benefit in significant ways from staying in connection with our friends. Learn more about these benefits, how to understand the dynamics of friendship within a new framework, challenges of different expectations, outcomes, friendship levels, and danger zones. Don’t miss this unique opportunity to learn about the healing power of girlfriends, acquire a new perspective on the dynamics of relationships, and celebrate the blessings of friendship! We have been created by God to be in connection with others so let’s come together for an unforgettable weekend of FUN, FRIENDS, and FABULOUS FELLOWSHIP as we gather by the ocean to learn about and celebrate “sisterhood” together! If you have any questions, please call or email Deborah today! **Deadlines for early bird discounts for the seminar are October 1st. **Deadlines for hotel room block discounts are September 25. **Discounts given if you sign up and pay with a friend!